Thank you for a lovely set of pergolas. Thank you for a great job on the verandah. It looks really wonderful and was well worth the wait. A true asset to the team! Thanks Michelle. We absolutely love the verandah. Thanks for everything, the pergola looks great. Very happy with the whole process, thank you. We are extremely happy with the screening the job he did is fantastic – I’m almost as impressed with that little section as I am with the whole screening. Thanks again and I will have no hesitation in recommending you to our family and friends. Thanks for your services we’re both very happy with the final result, it looks great. Thanks again for your fantastic customer service from the very beginning to the final install of the product. All members of your team have been a pleasure to deal with. Firstly can i say thank you! the veranda/carport looks awesome! we are very happy with the way it looks and have heaps of compliments. Thanks for all your assistance through the process. The pergola looks great and we couldn’t be happier with the end result. Finally I would like to extend to you and your staff many thanks for a job well done. This probably brings to an end our dealings (at least in the business sense). I take this opportunity to thank you and “For Life Patios” for the work undertaken for me and the kids. 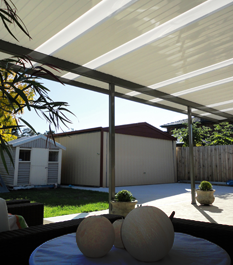 I am very happy with the quality of work and have appreciated the times you were willing to put yourselves out to complete the verandah’s for the kid’s and me within our often rushed timelines. 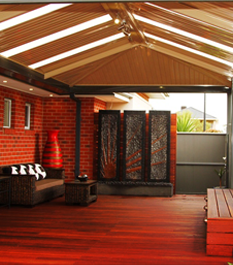 I certainly will have no hesitation in recommending For Life Patios to anyone for good workmanship and a quality product at what I considered to be reasonably priced. We are very happy with the deck and verandah! Thanks for everything! Lots of thanks for all the job done. I am really satisfied with the job. Thanks for the great work you and your team have done to complete this project. By the way, everyone that has seen the patio are very impressed – so, good job. Sorry it took me this long, I just want to let you know that we do enjoy the veranda and we are very happy how everything turned out. I also want to thank you for being so prompt in all Information you gave me leading to and including the final date of installation. I would recommend your company to all of my friends and who ever I hear needs your type of service. We would like to thank you, Shane and the boys for the works you have completed. It looks fantastic and so much better than we could of imagined. The eye for detail and the quality of the product you deliver is second to none. We will be able to enjoy it for many years to come. Once again a big thank you and i will be sure to recommend For Life Patios to family and friends. The finished patio looks fantastic and has exceeded our expectations. Particular thanks to Brad and Kal who did a wonderful job. The veranda is fantastic. We are EXTREMELY happy. We should have done it years ago. 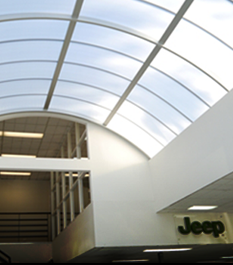 Your company has been fantastic to deal with, from the quote to the completion of the job. Thank you for your patience Michelle. Shane and the boys were great to deal with and easy to communicate with. 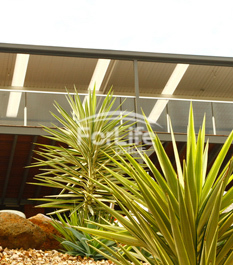 We would HIGHLY recommend ‘For Life Patios’ to family and friends. Thank you for your hard-work and the end result it is exactly as we wanted. We couldn’t be any happier on how it looks. Thanks heaps for the fantastic pergola. Thankyou for your tireless efforts to please and to get this patio approved. We very much appreciate the good work done on our behalf. We also appreciate the work of the organized, polite and efficient tradesmen employed who did the job for us so well. As we have said to Shane, we will recommend your company to other home owners with pleasure. We wanted to thank you and Shane very much for the wonderful work done to provide us with our verandah, many thanks again to you and your team. Thank you for your time and patience. We are very happy with the final result. Thanks for a lovely verandah. Could you thank the guy`s for their workmanship. They were very helpful, polite and professional. We are very happy with the verandah and I must say that the young men who worked here did a great job and were extremely polite and left everything as they found it. 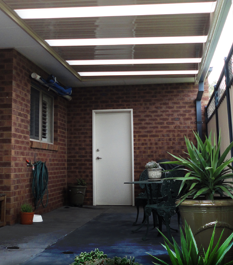 We are really happy with the verandah. The workmanship is fantastic and the boys were absolutely great. They were extremely helpful and polite and very professional with the way they conducted their work. The verandah looks great. We are very pleased with the work. 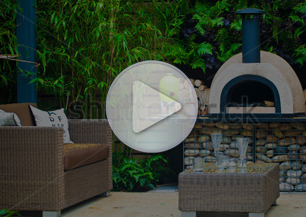 Hello Michelle, I would like to thank both you and Shane for all your assistance on achieving such a lovely patio which has made my backyard complete. Your staff done a fantastic job completing the erection of my patio in a timely manner and leaving no mess what so ever. You would not have even known that any work had been done in the backyard. Great job done by all. Hi Michelle, THANK YOU! I already had the first BBQ under it last night and it was definitely the right decision to use your company to build our verandah. With the service provided, you will always be in business. Thank you so much for your fantastic service, take care, we will highly recommend you guys. Firstly, I’d like to thank you and Shane, as well as the young lads that had been working at my home. The job that the boys have done is great and I am very happy with the completed product. They left my back yard nice and clean as well, and that was also very pleasing. Once again, thank you for a job well done and great communication along the way. Thanks for your assistance, we are very pleased with the result and the way it looks. Thank you for your services and please forward our appreciation and thanks to the men who did the job. The verandah looks great. The pergola looks fantastic, the boys have done a great job. Many thanks to you & Shane for a great verandah!